Bring all your unworn or unwanted clothes and swap them for new-to-you garms to refresh your wardrobe the eco-friendly way. 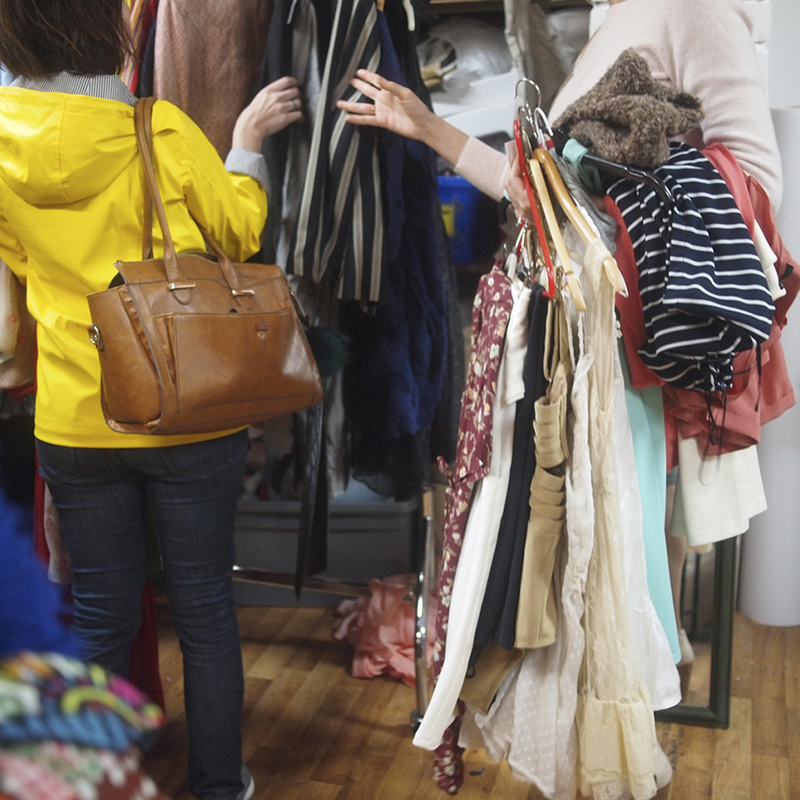 This is no second-hand clothes scrum! It’s a boutique shopping experience with a difference. Men’s, women’s and children’s clothes are welcome – it’s a family friendly event. Bring along up to 10 garments (men’s, women’s or children’s clothes). You can check in anytime between 12-3pm. Swapping begins at 12:30. Pay on entry and collect your swap card, if you don’t already have one. For each item of clothing you bring, you’ll get a stamp on your swap card. We grade clothes into two categories on arrival; Designer and High Street. You swap like for like, so a Designer item gets you another Designer item, or you can ‘swap down’ for a High Street Item. Browse the rails and find some clothes you love – try them on if you like! If you have spare stamps at the end, you can bring them along to the next swap. Entrance is £5 per person standard rate. 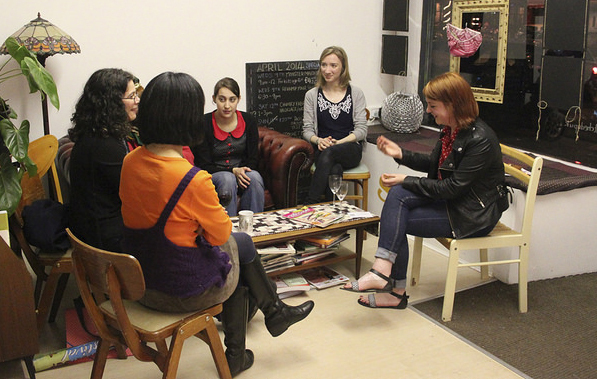 Members of Stitched Up swaps get entry for £3 (membership fee £5 per year). Season Ticket holders (£30 for the year) get free entry to all swaps for a year.